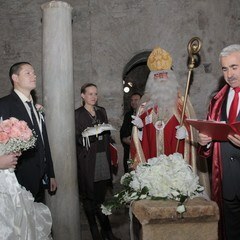 The “International St. Nicholas Wedding Festival” which is organized by “WeddingCityAntalya” and supported by Demre Municipality is made every year between the 6’th and 19’th December. On these special days we would like to share with you St. Nicholaus’s helpfulness and philanthropy who accepted that lived in Demre – Antalya and helps to the sailors, children, young girls of Marriageable age and to everybody. 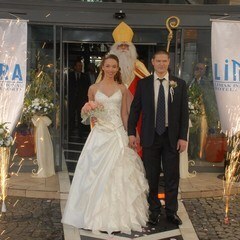 SAINT NICHOLAS HAS OPENED HIS ARMS AGAIN TO THE BRIDES, LET’S COME AND LIVE TOGETHER THIS UNIQUE ONE IN THE WORLD…!!! As with it is acceptance that had lived in Demre- Antalya, and known with his favours to everyone specially caring the sailors, children and girls to marry, Saint Nicholas’ human love would like to be shared by us, in this special day with you. The couple will be picked up from the airport and returned back. (Transfer from airport to hotel and back). 5th or 18th December Turkish Henna-Night: The hall of the hotel will be decorated for the Henna-Night presentation. The ceremony of the turkish Henna-Night a folklore group will perform Çaydaçıra. 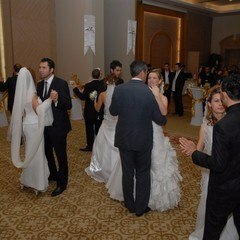 At the same time they will serve nonalcoholic drinks, turkish lokum and snacks (nuts, chips ect. ).The personal will deliver wedding sherbet on the backs of pichers with national wearings. After this Henna night ceremony the DJ will continue to the entertainment with the international music. 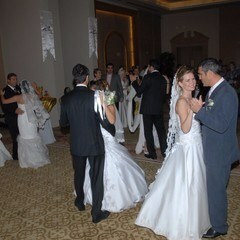 6th or 19th December Seremony of picking up bride: According to the turkish traditions “the ceremony of picking up bride” will be held on from Limak Lara Hotel with music of turkish drum and turkish oboe. 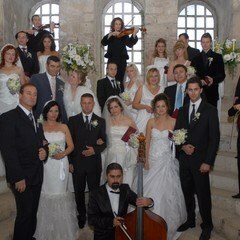 After the ceremony the group will be taken to the St. Nicholas church in Demre by decorated wedding cars (Vito), as wedding convoy. This event will be filmed from the air. 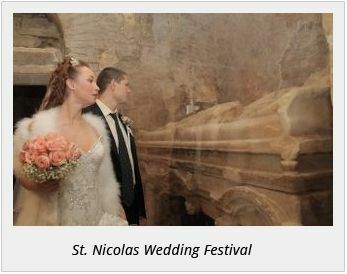 6th or 19th December wedding ceremony: İn the St. Nicolas church where is decorated with fresh and imitational flowers and, the couple’s civil or symbolic wedding ceremonies will held on with musical played by opera artists. Lunch in a local restaurant in Demre. 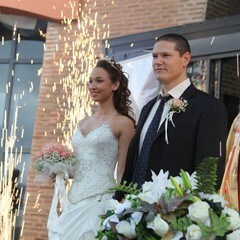 A professional make-up specialist for the bride (will come to the hotel). (The brand of Kryolan make-up material will be used, so as for 24 hour permanency and for the face mask Fixler Spray will be used. Natural looking silk eyelashes will be fixed (1,5 hour). 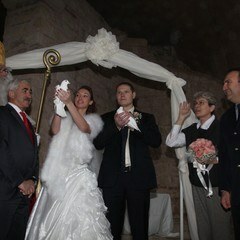 An English speaking wedding consultant will be with the couples during the day. Bridal bouquet and the groom’s collar flower. Special professional photographer takes 350 to 700 photos (CD with the unrevised original photos will be handed out) at the bride’s preparation, the Henna-Night, the pickup ceremony and the marriage ceremony. Professional viedeo recording ( DVD with original viedeo redording) at the bride’s preparation, the Henna-Night, the pickup ceremony and the marriage ceremony. 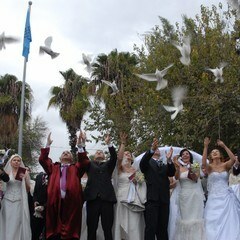 After the wedding ceremony 2 white doves will be released by the couple as a symbol for luck. This event will be filmed from the air. After the ceremony, Myra Teather and the kings grave will be visited. Video record and image phote will be taken of group.